Co-founder of MUBI and former Executive Director of MALBA museum, Eduardo Costantini Jr, launched the online platform and app KABINETT during the 2016 ART BASEL MIAMI edition, to support the work of musicians, film-makers and artists from around the globe. Since then, 100,000 people have already watched videos at KABINETT. New York, NY – New York based art-house tech startup KABINETT has secured a $2.5M round of financing to continue investing in the production of original short format content, including music videos and video art, as well as continuing to updating technology features & digital marketing initiatives of the KABINETT platform. KABINETT is a platform for the creative community that offers a collaborative environment for art-house enthusiasts to share and engage with a carefully curated and produced selection of art, music, film and more. KABINETT has received $2M from strategic investors in the art world through a Convertible Note Series at a $10M cap. Weeks before the closing of the Note, the Founder, Eduardo Costantini Jr. announced he is starting to meet strategic investors for the Series A coming in mid 2019. 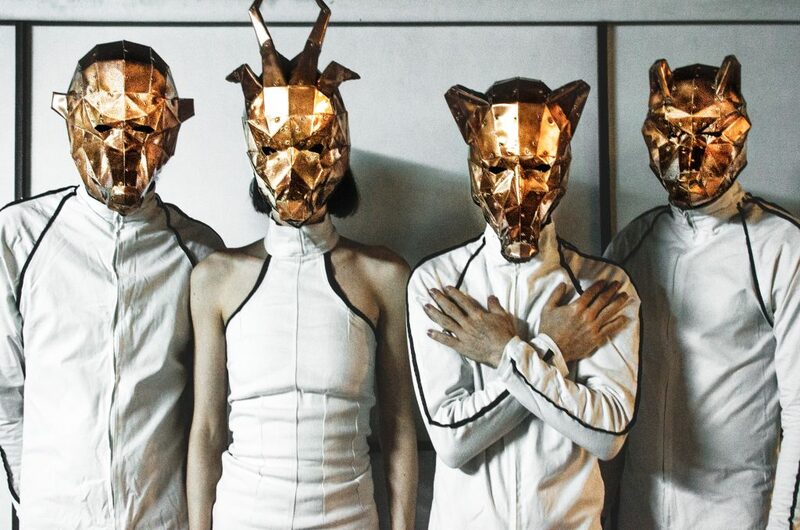 These funds will be allocated to the production of original music videos and video art works, technology updates, as well as multiple marketing initiatives. “We are excited about this round of financing for KABINETT. This will allow us to continue do what we love, support the work of exciting emerging and established musicians, film-makers and artists from around the globe, something we have been doing for the last 15 years, first at MALBA museum and then at MUBI, two projects I’m very proud to have been a part of from an early stage, both aligned with our overall vision of making the arts more accessible to people around the world, whether it be film, music, art or other areas within the creative space. 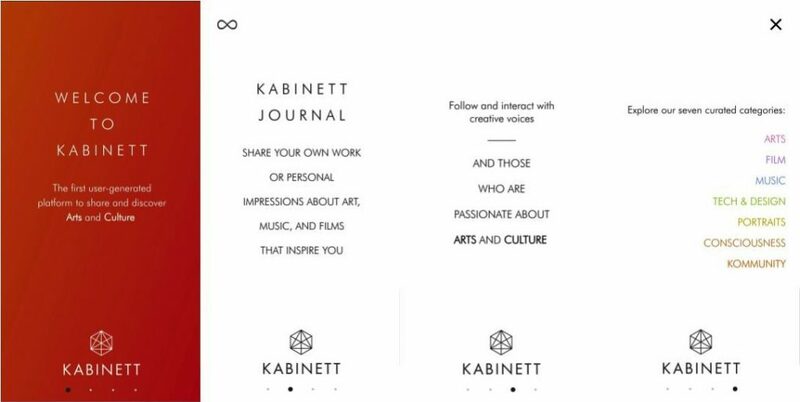 KABINETT is the first platform of its kind to disrupt the arts & culture world and we are excited about what is to come next year” stated Eduardo Costantini Jr., Founder of KABINETT. KABINETT launched The Screening Room on August 31st of 2017, showcasing original productions of Music Videos and Video Art. The site has received more than 100,000 views in the first year since launch. Among the highlights releases are the international art and genre-bending music group Soundwalk Collective in collaborations with Jesse Paris Smith feat. Patti Smith, Sascha Waltz and David de Rithschild; Sean Lennon & Charlotte Kemp Muhl’s The Goastt and UNI- The Band; Mikhail Baryshnikov, Visible Cloaks, Syrinx, Oliver Coates, Cannes awarded cinematographer Eponine Momenceau, among others. The platform will also continue releasing original content on a weekly basis, ensuring ever-changing and evolving content for users to see and engage with. In December 2016, KABINETT soft-launched The Journal, a user-generated space where the creative community can share, engage with and discover the best in the arts. Users are able to upload unique content in real time in an attempt to initiate dialogue and share innovative works from around the globe. The app is available worldwide on Android and iOS. 1. What was your impetus in starting KABINETT? Where did the idea stem from? There’s no digital platform as the one we are envisioning with KABINETT, bringing a selection or artists across different disciplines. Before launching KABINETT, we spent 10 years building the independent film streaming platform ‘The Auteurs’, which is now known as MUBI, this was 6 years after founding malba.cine, the film department of MALBA museum in Buenos Aires. KABINETT is similar in that we are providing a space for independent artists, film-makers and musicians, as well as a social media space for users to interact with other art lovers. 2. Why is KABINETT referred to as the anti-instagram? KABINETT, unlike most social media platforms, is dedicated to providing an arts-only atmosphere. This is our attempt to answer the over-saturation problem that many artists face online. We don’t want good art to get lost in the piles of food pics and selfies, so we restrict them completely. 3. What sorts of artists and/creatives are you yourself most inspired by, especially when you visit the app? We are inspired most by the users who are contributing their own works on KABINETT. Very soon, we will introduce a new submission feature that will allow users to send in their pieces for funding, production and screening opportunities by KABINETT. 4. Have you come across any creative work or type of artist(s) that you perhaps may not have ever encountered? We are immensely thankful for all of the talent we’ve collaborated with because each one is so different from the next. It is hard to pick names but the variety of the content we’ve released is clear at first glance. Since we are striving to shine the spotlight on today’s most innovative artists, it is fair to say that we have never encountered works like their’s. 5. What do you hope the app will come serve to do for creative industry internationally? We hope others will follow suit and we look forward to collaborating with production companies worldwide. Our aim is to create a high-quality, user generated art streaming platform.